A little more than a year into my single life, I went out for coffee with a woman I’d known for some time. Prior to that I had politely turned down her offer for a coffee date at least twice. I needed some healing time after my separation and pending divorce. Despite some reluctance on my part, I agreed the third time she asked. I felt confident that my experience with two marriages gone bad would prevent me from repeating past relationship mistakes, should coffee lead to something serious. So, the concept of looking for red flags in my dating relationships didn’t occur to me. After all, this was only coffee. Or so I thought. The dating red flags that should have sent me running had already started to appear and I wasn’t seeing them. The first warning flag was my hesitation to go out with her. The first date for coffee turned into a second date for dinner. As the evening began, it was hard for me to get in a word of conversation, but I chalked that up to nerves on her part. As the evening wore on I remember thinking, “Man, this woman talks incessantly.” I agreed to another date and thus ignored red flag number two. Date number three was dinner at her home. By 10 p.m. I was tired and ready to leave. Yet her monologue continued and as midnight neared, I recall thinking, “Well, I really don’t have much to say anyway. But it’s nice to have company for dinner.” She insisted I call her when I got home, even though I lived but a few minutes down the road and I was wide awake. We began to date regularly. The monologues continued. There was a growing sense of neediness on her part with insistence on phone calls every time I got home. She worried constantly. Sometimes she called me before I got home. She also didn’t hesitate to call me throughout the work day even at times I said I’d be busy. In conversation, she radiated mild negativity, always expecting the worst was going to happen. (I’m the opposite.) She sometimes complained about others. She grumbled about some of the volunteer tasks she did but enjoyed the role of martyr and refused to get anyone else to step in. There were signs of hypochondria. Nevertheless, this turned into a long-term relationship. How and why did I overlook so many relationship red flags, all in the first several weeks of dating? Here are three reasons why I ignored the warning signs and why you might be too. The fact is, I was also getting something out of the relationship. It was nice to have a companion for dinner or to watch a movie. It was good to get out of the house and socialize. I liked having the option to do other things on weekends and especially the holidays. I was energized, excited, nervous, and hopeful at the thought of going on a date. But I let these emotions cloud my judgement and distract me from the subtle things I might normally notice. The underlying problem was that I never addressed why I attracted (and was attracted to) people who weren’t good for me in both personal and professional relationships. It took some hard work with a therapist to get to that “aha” moment of clarity. Today, I can clearly see and avoid those people who aren’t good for me. It’s also much easier to find those who are good for me. One major result of this process is I learned not to settle for less than what I want and need. I had settled too long, for too many things in previous relationships, to everyone’s detriment. 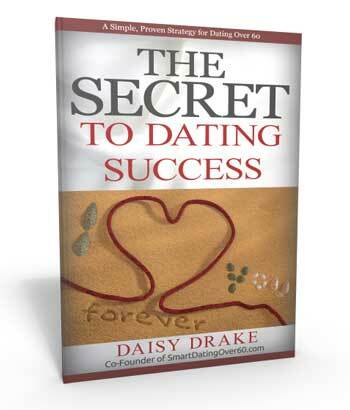 It’s only because of the work I did that I was able to find my ideal partner, Daisy. If you have a pattern of relationship failures, or if you feel like you’re always “settling,” it’s a sign you need to do some personal evaluation. There’s no need to repeat bad relationships for life. The fact that you’re reading this suggests that you’re willing to make a change, and that’s half the battle! To stop the cycle, see a professional therapist. It’s important to get an objective, independent viewpoint to guide you towards your own moment of clarity. When I went on this coffee date, after a long absence from dating, I had done nothing to prepare. There are two things I could have done differently. I told myself I could rely on my intuition. Unfortunately, it was talking to me all along but I wasn’t listening. The first thing I would have done is to listen carefully to my intuition as if it were a trusted friend. It’s your sub-conscious mind at work whether you’re awake or asleep. Intuition comes in the form of a hunch, a gut feeling, an inner voice, or insight that happens without the usual involvement of your conscious, rational mind. The second thing I could have done differently was to prepare myself to re-enter the dating world. 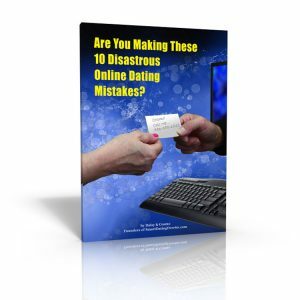 By getting to know myself better, and by outlining what I wanted and needed in my ideal partner, I would have created my personal red flags checklist for online dating. I did such a written checklist years later when I re-entered the dating world once again. This time, the red flags were obvious. They prevented my emotions from running my dating life and helped me to quickly zero in on my ideal partner. It’s entirely possible to have a fantastic dating experience and think you’ve found “the one” when the opposite is true. Narcissists are experts at hiding their true, disordered personality. Yet discerning signs that you may be dating a narcissist can be very hard to detect. That’s why it’s even more important to be in tune with your own feelings, with your needs in a partner, and with your dating plan. Listen to your intuition and check out this list of behaviors that indicate you might be involved with a narcissist. Aside from narcissists, I believe mature daters over sixty face a bigger challenge in detecting warning signs than do younger daters. At this point in life, we’ve had a lifetime to develop skills at hiding our defects of character. 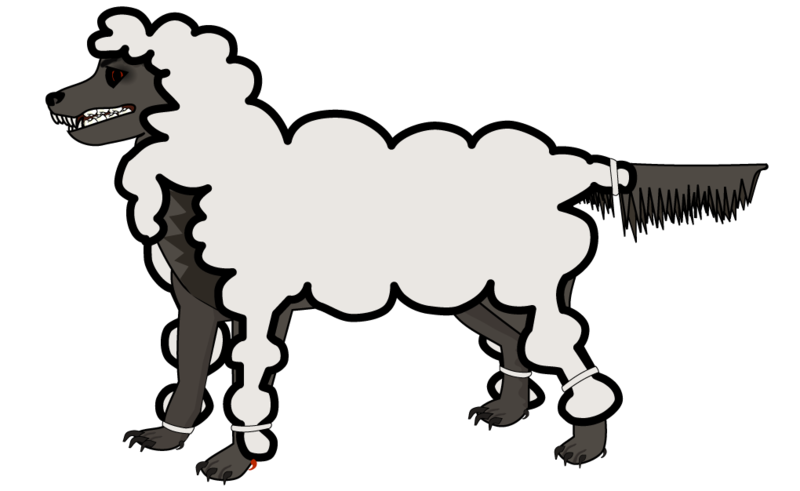 Narcissists and others with personality disorders are experts at camouflage, so it can be hard to detect. Others have developed sophisticated coping and survival skills that hide their less desirable characteristics. If we’re not careful, we might not see them until we’re heavy into a relationship. Yet when you’ve taken time to prepare for your re-entry to dating, it’s easy to spot those things you don’t want or need. An article on eHarmony lists a few other warning flags that can alert you to future relationship problems. Being rude or disrespectful to others. In time it will turn on you. 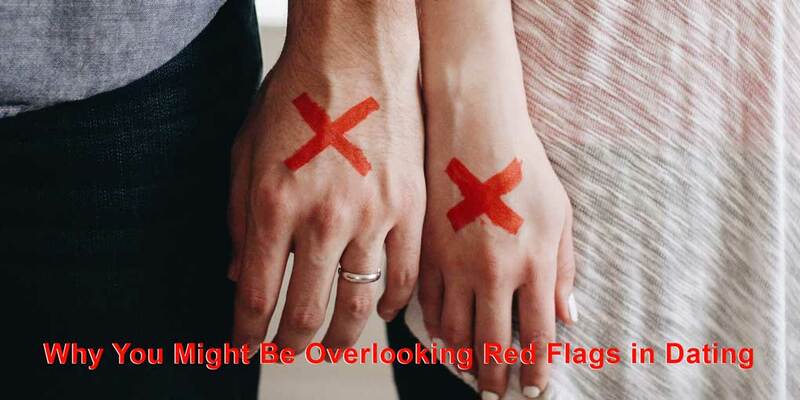 The appearance of one or two red flags doesn’t necessarily mean the person is not a good fit. No one is perfect and we all get nervous on first dates. But it does tell you to take a closer look, to make sure you’re comfortable with that defect and that it’s not a deal-breaker. The bottom line is that with self-evaluation, a dating plan, and a good ear for your intuition, you’ll be on the road to finding your true love and ideal partner.